Hemiplegia is brain damage that leads to partial or total paralysis of one side of the body. Hemiplegia is most often the result of disrupted blood flow to the brain. Such an injury can be caused by a traumatic brain injury, such as a blow to the head resulting from an automobile collision or any other trauma-causing incident. Brain injuries often leave victims with long-term or even lifelong consequences. Those with traumatic brain injuries may need long-term treatment, care, and rehabilitation. Many costs may have to be paid out of pocket. Here are answers to some of the questions victims and families may be asking in the aftermath of a traumatic brain injury. According to a report by WALB News, Georgia’s Return to Play Act, a new law that was approved in 2013, is now effective. It addresses brain injury in student athletes and seeks to prevent serious brain injuries from occurring. More specifically, the law requires coaches to take student athletes out of games and/or practices if they show signs of concussions or other brain injuries and to report them for a medical evaluation. Some believe that the new law is a much needed measure that will improve the safety of student athletes. However, others do not think the new law will make any different, since they believe injuries are an inherent risk to sports. In cases of severe brain injury, patients who have retained a level of awareness may appear indistinguishable from those who are in a true vegetative state. This is known as “locked-in syndrome,” in which a person is conscious yet unable to transmit it in any obvious way. Since a patient’s level of awareness weighs heavily on his or her chances of recovery, neuroscientists and medical professionals everywhere are trying to find a reliable way to measure awareness, or consciousness. The method being used today involves subjecting patients to external stimuli, such as voice commands or pain, and seeing if they react with movement or brain activity. However, this method of testing is imperfect and produces only crude measurements. According to Health Canal, researchers at the Georgia Institute of Technology are seeking a better understanding of the brain’s inner workings and the changes brought about by injury. 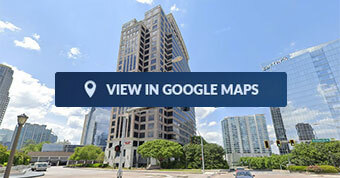 Through this research, they are not only attaining knowledge of the brain’s many complex mechanisms, but also are coming up with better treatments for brain injuries and disorders, afflictions that greatly interest the Atlanta traumatic brain injury attorneys at The Law Offices of Wayne Grant, P.C. One team is researching the effects of electrical and light stimulation on the brain and its possible usage to reduce or eliminate seizures associated with epilepsy. Two million people in the United States are afflicted with the disorder. Seizures occur when nerve cells in the brain fire abnormally and excessively. The stimulation techniques, if valid, could help patients on whom drug therapies do not work. Experiments will be conducted on an animal model that is experiencing temporal lobe epilepsy. 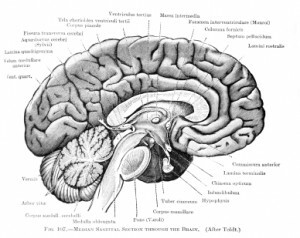 Traumatic brain injuries (TBI) occur when the brain is damaged in some way. A blow to the head frequently causes a traumatic brain injury known as a concussion, while an object penetrating the skull causes a different but also dangerous type of traumatic brain injury. Even a mild traumatic brain injury can cause lingering TBI symptoms, such as difficulties with memory, concentration, mood, sleep, balance, and head pain. Severe traumatic brain injuries can cause permanent disabilities or even death. Approximately 1.4 million U.S. residents suffer a traumatic brain injury each year, according to the Department of Veterans Affairs. 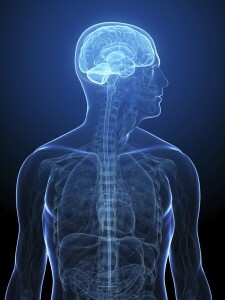 Common causes of traumatic brain injury include auto accidents, falls, blows to the head, and sports injuries. Explosions can also cause traumatic brain injuries, although these are less common among civilians than among members of the armed forces. Studies of veterans who suffered a traumatic brain injury (TBI) during combat in the Vietnam War have revealed a greatly increased risk of developing epilepsy, including regular seizures, in the decades following a severe head injury, according to a recent article from the National Institutes of Health. The researchers followed the health of 1,221 Vietnam War veterans for many years after their combat tours ended and they returned to the U.S. Most of the veterans had suffered a penetrative injury, in which shrapnel or another object had broken through the skull and injured their brains. Traumatic brain injuries (TBIs) like concussions and puncture wounds to the brain can cause serious, permanent physical impairments or even death. 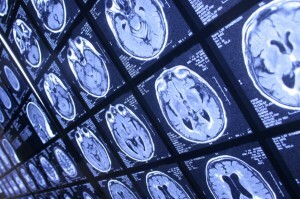 A new type of diagnostic imaging technique may help patients with newly-suffered traumatic brain injuries as well as patients living with disabilities caused by a traumatic brain injury that happened in the past, according to a recent article from Highlight Health. A recent study from the University of Pittsburgh and published in the Journal of Neurosurgery found that using high-definition fiber tracking (HDFT) to take images of patients’ brains might allow neurologists to see where TBI has interrupted communication between different parts of the brain by injuring or destroying the neural pathways. The HDFT images are created by processing MRI images through a special program. Two more cases have been filed in Atlanta by former National Football League players and their families seeking compensation for serious brain injuries, bringing the total number of players represented in the Atlanta court up to 28, according to a recent article from the Daily Report Online. Over 125 players and their families have filed similar cases nationwide. The cases claim that the NFL failed to adequately protect players from repeated concussions during football games. Repetitive head trauma, like concussions suffered on top of concussions that haven’t fully healed, is linked to chronic traumatic encephalopathy, or CTE. CTE can cause conditions like Alzheimer’s disease and dementia, and it is also linked to serious changes in personality, mood, and cognitive and emotional functioning. One of the families that filed suit in Atlanta is that of a former NFL player who recently committed suicide after being diagnosed with CTE and suffered severe psychological symptoms. 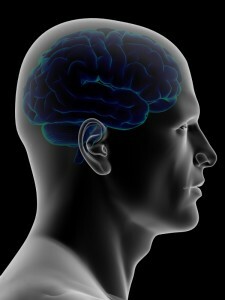 Traumatic brain injuries include any injuries to the brain caused by an accident or other event. One of the most talked-about and highly common types of traumatic brain injury is the concussion, in which the brain is bruised from a blow to the head. New research on traumatic brain injuries could lead to new awareness, prevention, and treatment options for these life-altering injuries, according to a recent article in Chicago Magazine. 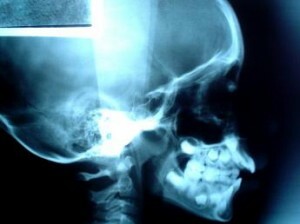 In 2011, researchers began examining the results of years of studies of the effects of repeated blows to the head on athletes. They found that untreated traumatic brain injuries can lead to chronic conditions and/or serious problems with memory, concentration, chronic headaches, and even personality changes. Repeated concussions are linked to brain disorders like Alzheimer’s and dementia in later years. It seems researchers have little doubt that traumatic brain injuries can have serious, lifelong consequences.